Caroline Butler-Bowdon and Charles Pickett : photography by Max Dupain and Eric Sierins. Carlton, Vic ; Sydney : Miegunyah Press in association with Historic Houses Trust | 2007. Australian cities are being remade by an unprecedented apartment boom. Today more flats than houses are being built in Melbourne, Sydney and Brisbane. First appearing one hundred years ago, there has been argument as to how they have transformed our cities' urban and social structure and architectural character. 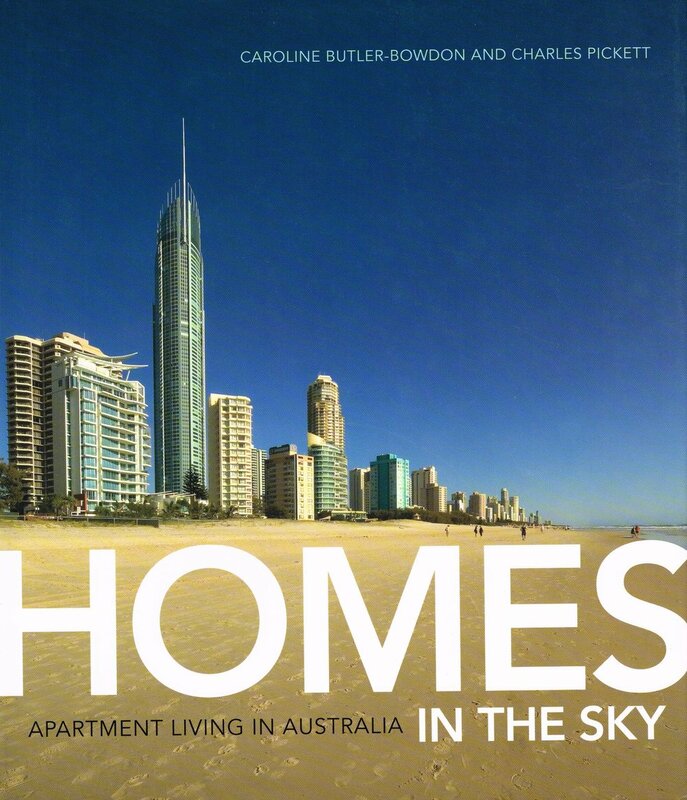 'Homes in the Sky' is the first comprehensive study of apartment buildings in Australia and features many of the best known and most sought-after apartment buildings. Focusing on the range of apartments from public housing to luxury housing, 'Homes in the Sky' is lavishly illustrated by 260 photos, architectural renderings and other images. Many photos are the work of Max Dupain, Australia's best known architectural photographer; Max Dupain & Associates has supplied both archival as well as specially commissioned contemporary photography. "Produced to coincide with the exhibition Homes in the Sky held at the Museum of Sydney from 12 May to 26 August 2007"--T.p. verso. Includes bibliographic references (p. 206-212) and index. 7. Downtown is a desirable address : contemporary apartment living. p. ix-x, 227 p. : col. ill. ; 28 cm. City and town life -- Australia -- History. Apartments -- Australia -- Designs and plans. Apartment houses -- Australia -- Designs. Apartments -- Australia -- Designs and plans -- Exhibitions. Apartments -- Australia -- Exhibitions. Apartments -- Australia -- History -- Exhibitions. Apartment houses -- Australia -- Exhibitions. City and town life -- Australia -- Exhibitions. Apartment houses -- Australia -- Designs -- Exhibitions. Apartment houses -- Australia -- Designs and plans. Apartments -- Australia -- History. City and town life -- Australia.